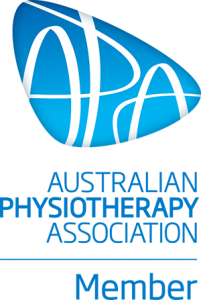 Caboolture Physical Therapy Centre > Blog > Back Pain > Osteoporosis – What is it and how can your Physiotherapist help? Osteoporosis – What is it and how can your Physiotherapist help? Osteoporosis is a condition characterised by very low bone mass or density. Low bone mass can occur when the body loses too much bone, doesn’t make enough – or both. Osteoporotic bones become weak and fragile and can break from small forces that would normally be harmless. But as well as loss of bone density and mass, osteoporotic bones may also be affected by abnormal changes to the structure of the bone matrix, which further contributes to weakness. Osteoporosis is an extremely common bone disease, and women are more affected than men. As it is a progressive disorder that worsens with age, while the disease process might begin earlier, the effects are usually only noticed and diagnosed in people who are 50 years and older. Often called a silent disease, many people will have no idea that they have the disease, as there are no obvious symptoms. In fact, sometimes the first sign that an individual has osteoporosis is when the first bone breaks. Along with fractures, which are the most serious signs of this disease, osteoporosis can cause the upper back to become excessively hunched (itself often a result of spinal wedge fractures) and there may be widespread pain as bony tissue is increasingly unable to withstand normal forces. Fractures are a serious problem, especially in seniors. Bone breaks due to osteoporosis occur most frequently in the wrist, spine or hip. When the spine is affected by osteoporosis, people may develop a hunched or stooped posture. This can lead to respiratory issues and place pressure on the internal organs. Osteoporosis can severely impact a person’s mobility and independence, which can have an enormous impact on quality of life. As bones respond to force and weight bearing by building more bone, having a sedentary lifestyle or doing activities with low impact (i.e. swimming, cycling) can also lead to osteoporosis. Physiotherapy can help you avoid or recover from fractures and improve your overall bone health. Physiotherapy exercises can direct you to safely increase your weight bearing, which can help build bone mass. Balance training is also an important factor as this can reduce the risk of falls. Your physiotherapist can also educate you on how to adjust your lifestyle, at home or at work, to protect your bones and improve your posture.